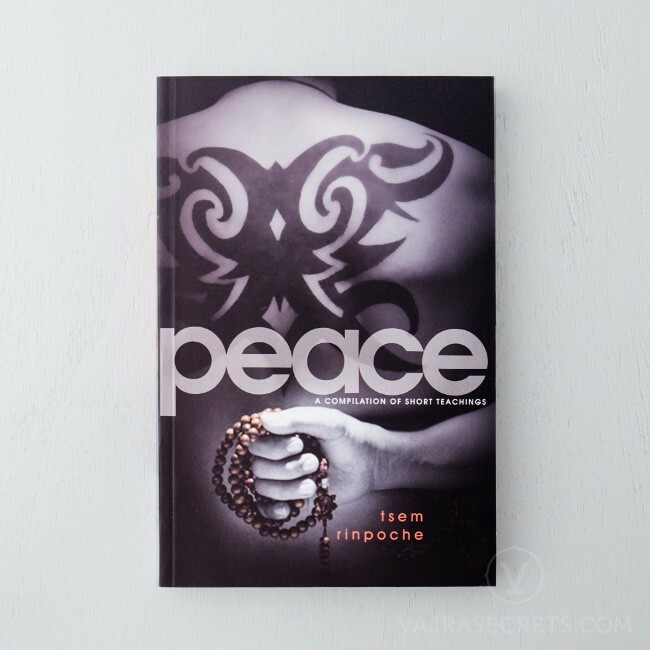 In this compilation of short teachings, Tsem Tulku Rinpoche brings us back to the basics of what it means to create peace and lasting harmony within ourselves and with the people around us. In this compilation of short teachings, Tsem Tulku Rinpoche brings us back to the basics of what it means to create peace and lasting harmony within ourselves and with the people around us. He reveals surprising truths, offers us refreshing new perspectives and gives us practical solutions for dealing with daily situations. It is hoped that with this book, you will gain the tools to increase the happiness in your life and overcome the hurdles. Learn how to foster strong, joyous relationships with others, fight your demons and enhance your own positive potential in everything you do. Ultimately, you will discover that, just like the book you are now holding, peace is entirely in your hands. *This product can only be shipped to Malaysia, Hong Kong, Taiwan and China. For worldwide shipping options, see Peace (US Edition).